Physical scrubbing is basically removing the upper layer of dead skin and thus giving up the glow skin. Scrubbing is therefore important. 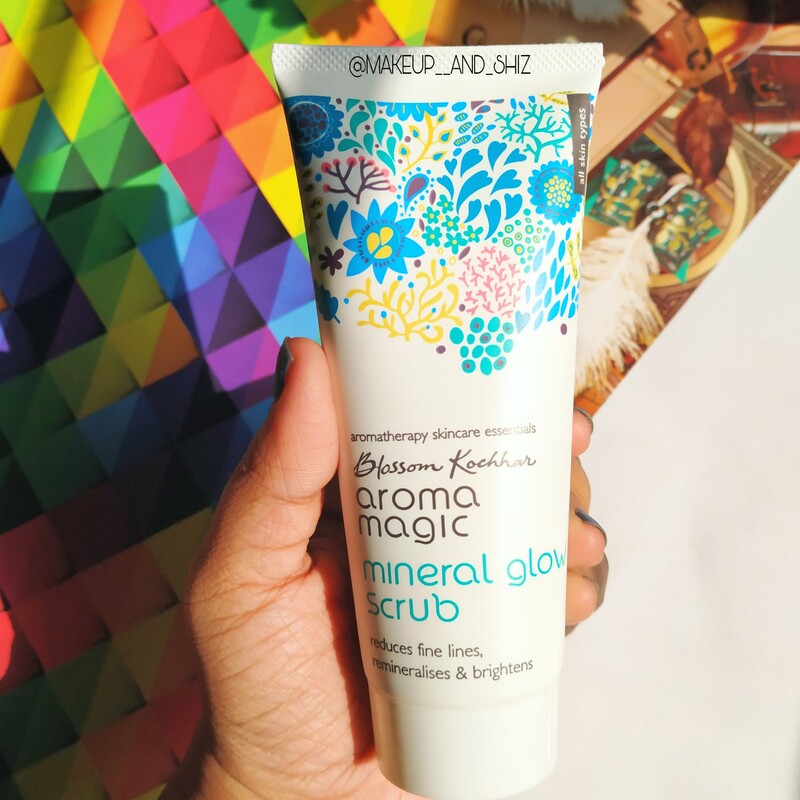 Today I am gonna review Aroma magic mineral Glow scrub. This microderm face and body scrub cleans pores, removes dead cells and exfoliates blockages. Reduces wrinkles, sun damage and improves texture. Skin appears lighter, brighter, smooth & glowing. It comes in a white tube packaging. It is neither too heavy nor too light. It is travel friendly and doesn’t leak. It is light green in colour. It has grainy particles in itself, feels sand like. It has a minty smell . The scrub has a cream like texture. How I like to use it is on damp or wet skin. Scrub/massage it for 1 min and keep it for around 4-7 mins ( depends on how late I am running🤭😂) and wash it off. I use it twice a week. It really gives a glowing finish, smooth skin. Like a scrub is supposed to get rid of clogged pores, dead skin , blackheads and whiteheads, it pretty much does the job well. It has given me a smooth skin, which in much more brightened. You can instantly see a difference in your face. If you have sensitive skin, may be avoid it. Or else , if you are looking for decent scrub, you can go for it. Doesn’t dry out your skin. That was all for this post ! Comment down below for any product you want me to review. Previous The Face Shop Rice Water Bright Cleansing Lotion – Review, India. Next Suganda Skincare White Lotus Moisturizer — Review.